This Young Man Went From the Lowest of the Low to Reaching His Dream – He is the Heart of the Team! The Kentucky Wildcats are an intercollegiate basketball team from the University of Kentucky. They have had a tremendous season, that wouldn't be possible without the heart of their team, Kevin Massey. When Kevin was 16, he went through an ordeal, first discovering a brain tumor and then spending weeks in the hospital with not many body functions. He experienced all of this while trying to choose a school to attend. His mother was very concerned with finding him a university that was close to home, because it was a struggle for him just to stay alive. But, Kevin wouldn't stop chasing his dreams, he loved the Wildcats and knew that if he tried hard enough, he could become a part of the school. 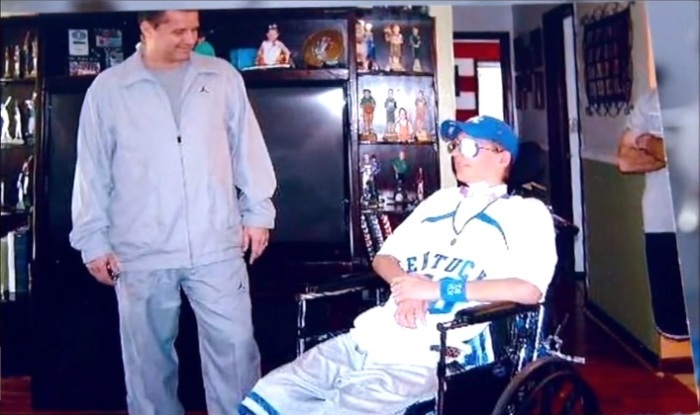 When the basketball coach heard his story, he didn't hesitate to go and visit him. Realizing instantly how much of a fan he truly was, he knew he had to help him. That's exactly what he did. Listen to Kevin's story, from the lowest of lows to finally reaching his dream!